Cornwall has been a welcome reprieve from the hustle and bustle of other English towns and cities we have been visiting. After a busy week in London, we headed south on the train. 3.5 hours later we were in Plymouth. It was good to be back by the sea – we hadn’t realised how much we missed the sea! 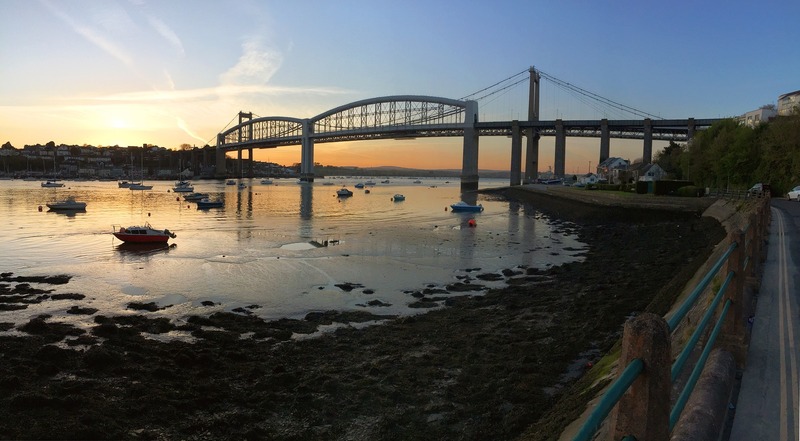 Our latest housesit has been on the banks of the Tamar River, on the border of Cornwall and Devon. The setting was idyllic spring countryside with the primary noise is that of the sheep in the next field. We are sitting here again in August so this visit was a chance for us to dip our toes into Cornish life. Even though the weather was changeable with some cracking beautiful hot days mixed in with misty, cold and drizzly days, we were determined to get out and out. This article covers some of the things we did in Cornwall, so if you are planning a visit to Cornwall you may find some of these things could go on your list too! Cornwall is located is on the far west of the Great Britain, surrounded by amazing dramatic coastline and dominated by lush green countryside. 'Lands End', Great Britains southern most part is in Cornwall. Cornwall is easily accessible by train, bus and car. Alternatively, you could jet into Cornwall Airport Newquay. We caught the train from Paddington Station, London and enjoyed a lovely 3.5 hour trip through the English countryside and around the coast. Where are all the people? 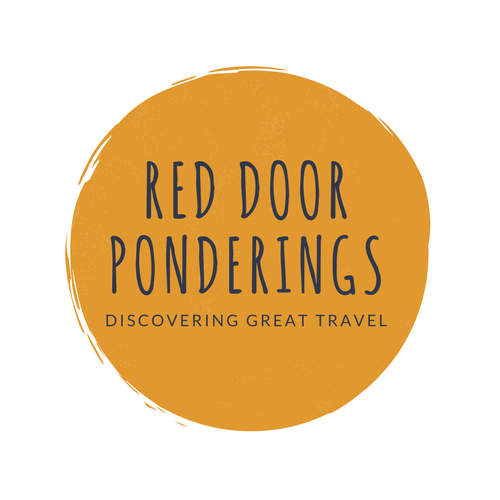 After spending 6 months travelling through Asia and Europe we have become accustomed to being surrounded by people all the time – and the constant low hum of traffic. Cornwall was like stepping into another world, and world of quietness and in some places solitude. We loved it, and it reminded us in parts of New Zealand. Spring is a great time to visit Cornwall in the ten days we were there trees blossomed, the countryside was lush and green, and roadside stalls were full of amazing fresh strawberries and rhubarb. Here are some of our Cornwall (and Devon) highlights. We are heading back to Cornwall in August and have a growing list of other things we must do – if you have been and have some favourites let us know. There are so many things to do and places to see in Cornwall. This trip was about dipping our toes in and exploring without any pressure to tick things off a list. We know we will be back in Cornwall for a month in August/September, so we will have plenty of time to see more then. We are keen to visit several gardens (The Lost Gardens of Heligan) which we think will be better in Summer rather than before the Spring growth has set in. We are always looking for budget friendly things to do too – so there are a few of those in our top things to do in Cornwall. If you have a car a great thing to do is to get out and about and drive around the country lanes in Cornwall. Spring is a wonderful time to do this, lots of lush greenery and birds. You never know what you are going to see around the corner – tiny villages, old churches, roadside stalls selling local, fresh eggs, fruit or vegetables. You never know where you may end up for a well deserved cup of tea and a famous Cornish cream tea or Cornish Pasty. Of course, the non-driver could even partake in a local brew (or two). You may also need to hone your backing skills – many of the country lanes are just wide enough for one car! It wouldn’t be right to visit Cornwall and not partake in a delicious Cornish Cream Tea or hunt out a tasty Cornish Pasty. We had both (of course) and enjoyed both. We had a delicious pasty from a hidden container shop in Hatt. I love that there is always a vegetarian option! We combined a visit to a lovely National Trust property, Cotehele, with a Cornish Cream Tea. Lovely. And it came with a giant pot of tea for two. Buying fresh produce at roadside stalls is a great way of getting fresh, delicious produce and supporting local farmers and gardeners. We were pleasantly surprised by the amount of roadside stalls there were, and that most had honesty boxes for payment. We had come across plenty of these in New Zealand but nowhere else. Spring is a perfect time to be hitting up the roadside stalls – think sweet smelling and tasting strawberries, rhubarb, eggs (chicken and duck), fresh flowers and the list goes on. There are over 50 National Trust places to visit in Cornwall giving you plenty of choice for a day out in Cornwall. We visited Cotehele, an ancestral home located in the hills above the Tamar River. A lovely day out, with plenty of nature walks and a café (which does a very tasty Cornish Cream Tea. A fabulous day out in Cornwall is a visit to the Eden Project. We wrote about it here. Our annual tickets will definitely come in handy when we return in August. Head to Padstow, a fishing port on the North West Cornwall Coast. Most synonymous with Chef Rick Stein, this lovely little village is bursting at the seams with fabulous places to eat and is surrounded by beautiful sandy beaches. I can imagine when the weather is a bit warmer it would be lovely to walk down to the beaches. We managed to arrive when the village was resplendently decorated for the ‘Obby ‘Oss Festival which takes place on May Day. A great day out with some yum food topping it off! Cornwall is a delightful place to visit. We are back in August and can’t wait to do some more exploring. If you are after a place that is beautiful, peaceful and surrounded by the sea – then Cornwall should definitely be on your list. While we were housesitting this time in Cornwall we know that we will be on the hunt for some great accommodation for our future visits. We have done some research and have found some great accommodation in Cornwall. Check out our recommendations! Cally Croft is a perfect spot to explore the delight that is Padstow. With large beautifully decorated rooms, you will be centrally located to explore Padstow, its coastline and of course, all the foodie goodies it has to offer. Only 10 minutes walk from the centre of Padstow, this is a great option if you are keen to spend some time relaxing in the delightful Cornish seaside village of Padstow. Check here for the latest rates and information. A truly English experience is to stay in a wonderful Barn conversion. Trussel Barn in Liskeard will provide you with wonderful accommodation in a great location. Liskeard is ideally located for exploring Plymouth, Saltash, the Eden Project and of course other parts of Cornwall. With huge rooms, all with private bathrooms, the highly rated Trussel Barn is a great option for a countryside stay in luxury. Check here for the latest information and prices. Overlooking St Michael’s Mount, the Godolphin Arms will provide you with amazing seaside views and easy access to the beach. Beautifully appointed rooms and great service will make sure you have a relaxing and refreshing seaside stay. This highly rated hotel is perfectly located for exploring the Cornwall coastline and of course St Michael’s Mount. Well worth investigating! Check here for latest information and rates. If you liked this please Share, Pin or Comment. Cornwall looks and sounds like a perfect place to relax and take a break from bustling city life. Looking forward to discovering it one day! Yummmm! Cornish cream tea sounds so delicious. Thanks for putting this together- I would love to spend a day here exploring the place! Lovely photos as well! Thanks! The issue with the Cream Tea is stopping – it is important to try them at different places to ensure you get the full experience! It is well worth a trip – so lovely!